Mumbai, 21st March 2015: The ravishing Karishma Kapoor walked the ramp in style in a Neha Agarwal outfit at the Lakme Fashion Week 2015. Known for her colorfully gutsy designer gown, Neha Agarwal presented another inspiring collection named, ‘From Russia,with Love’ that tells you a tale of two cultures. Russian inspired silhouettes and motifs fused with Indian fabrics and techniques are the crux of Neha Agarwal’s this year’s collection. Usage of intricate hand- embroidered appliqués on georgette, ahimsa, dupion, pure mal, tussar and pattu silk on Russian inspired artwork makes this array of designs one of a kind. The collection is a reminisce of form-fitting fashion of early 1900s Russia. Eye-catching dresses and bamboo denim jackets with cape collars, adorned with cross-stitch detailing and floral embroidery; circular dresses with hand block printed motifs and denim crop tops with printed Russian dolls and flared jumpsuits in pure silk with a denim bodice and embroidered scalloped sleeves complete this resplendent collection. Overall, it is an innovative fusion of global patterns into ethnic fabrics and techniques that awaits to unfold. 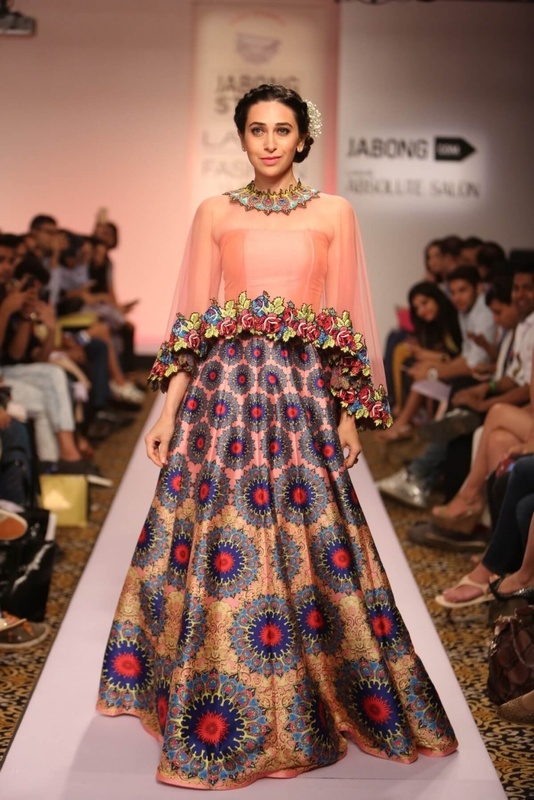 “It has always been a pleasure being a part of the Lakme Fashion Week. I’ve worked ardently to create my designs this year and I eagerly awaited for the show to begin. 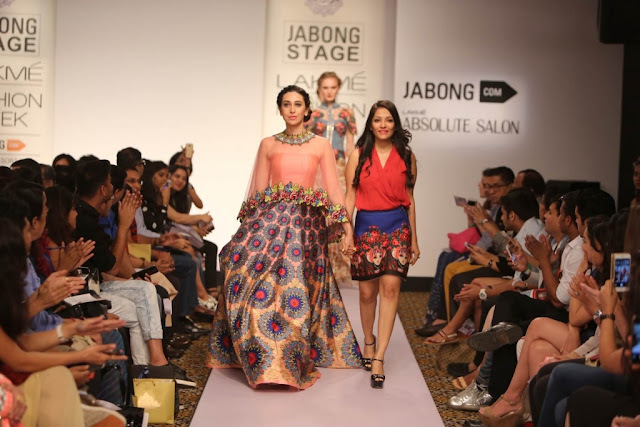 It was a pleasure telling the tale of two cultures in my own personal style at the Lakme Fashion Week S/R 2015″ says the young designer, Neha Agarwal.